Lance Armstrong: '20+ Year Career ... Never A Failed Test ... I Rest My Case' : The Two-Way The cycling legend has used the Web, and in particular his Twitter page, to hit back hard against the latest allegation that he used a performance-enhancing drug when he was competing. And he's raised questions about his accuser's credibility. "20+ year career. 500 drug controls worldwide, in and out of competition. Never a failed test. I rest my case." As Eyder wrote Thursday evening, in an interview with CBS News' 60 Minutes that will air Sunday evening, "a former teammate of Lance Armstrong says the cyclist was doping the first time he won the Tour de France in 1999. Tyler Hamilton said Armstrong was using EPO — a performance-enhancing drug that affects production of red blood cells — in 1999 and said he used EPO to prepare for the Tour de France in 2000 and 2001." Lance Armstrong, at a race in Australia in January. "Tyler Hamilton is a confessed liar in search of a book deal — and he managed to dupe 60 Minutes, the CBS Evening News, and new anchor Scott Pelley. Most people, though, will see this for exactly what it is: More washed-up cyclists talking trash for cash." Armstrong also posted a more subtle dig at Hamilton. Thomas Bach, vice president of the International Olympic Committee, told The Associated Press that Hamilton might be stripped of his 2004 cycling gold medal because he (Hamilton) also admits on 60 Minutes to doping of his own. "Congratulations to @eki_ekimov on his 3rd Olympic Gold Medal!!" Viatcheslav Ekimov of Russia was second to Hamilton in that Olympics race. Update at 2:30 p.m. ET: Hamilton has turned over his gold medal to the U.S. Anti-Doping Agency, The Associated Press reports. Update at 6:54 p.m. ET: CBS News reports that George Hincapie, another former member of Armstrong's team, has told federal investigators that "he and Armstrong supplied each other with the endurance-boosting substance EPO and discussed having used another banned substance, testosterone, to prepare for races." Hincapie, says CBS News, declined an interview with CBS. Hincapie has often been depicted as one of Armstrong's most loyal teammates and was with him for all seven Tour victories. 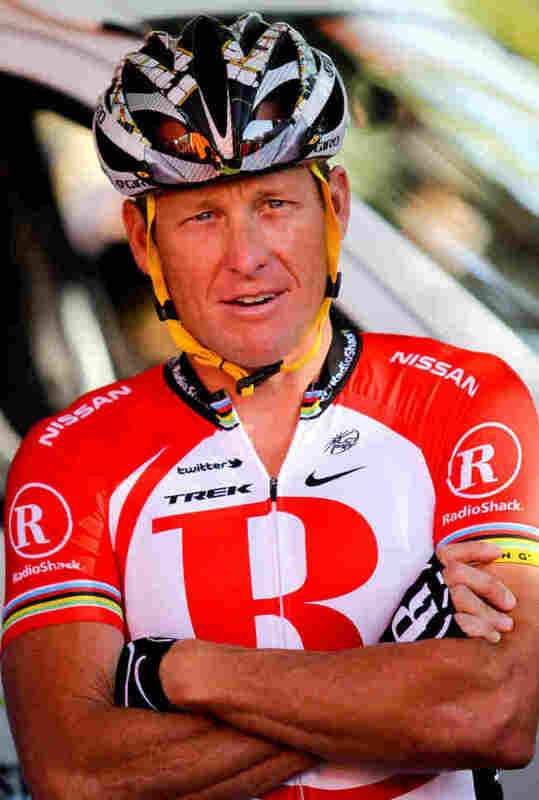 In an interview last year, Armstrong said Hincapie was "like a brother to me." Hincapie is among a number of former Armstrong teammates and employees who have appeared before a federal grand jury in Los Angeles investigating doping in cycling.